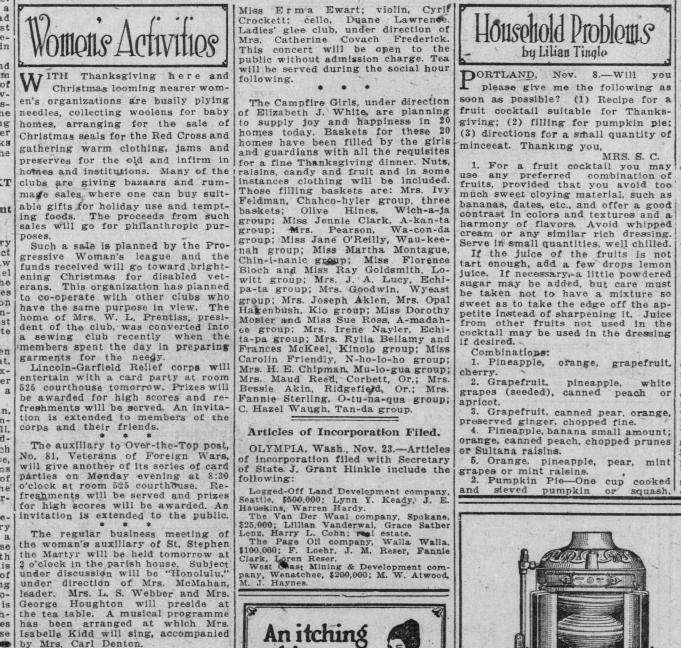 By November 24, 1921, the Portland Oregonian was reporting on the activities of a Chahco-Hyler, or its non-typo’ed version, the Chahco Hyas Group of the Campfire Girls. In the context, I take the name to have been intended as Chinook Jargon for “growing up”. There was also a Wyeast group, incidentally. That’s a reputedly native name for Mt. Hood, though a definite etymology hasn’t been found for it. If you click to have a closer look at the newspaper article above, you’ll see numerous groups of local Campfire Girls had “Indian” names. How many of them do you think were purely made up?